The rogue adjusted the Alchemist Sword Frog on his belt as he left the apothecary shop. After checking that the corks were secure on the three vials of murky liquids, he walked slowly, melting into the raucous crowd of shoppers. 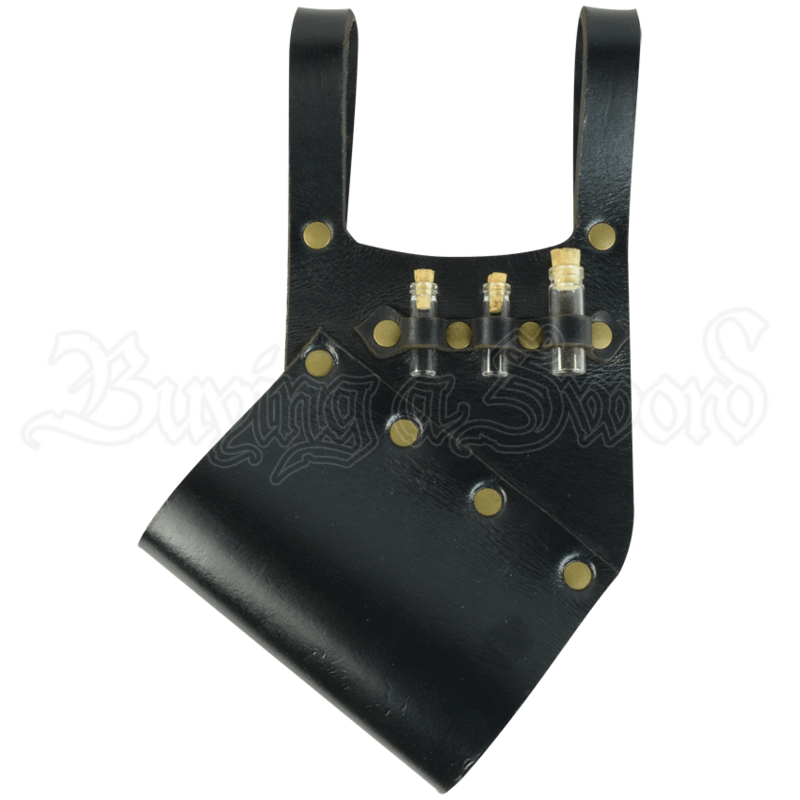 Perfect for rogues, thieves, clerics, or anyone who uses potions as well as blades to fulfill their goals, this leather sword holder displays a row of three glass vials that are corked and fully functional. 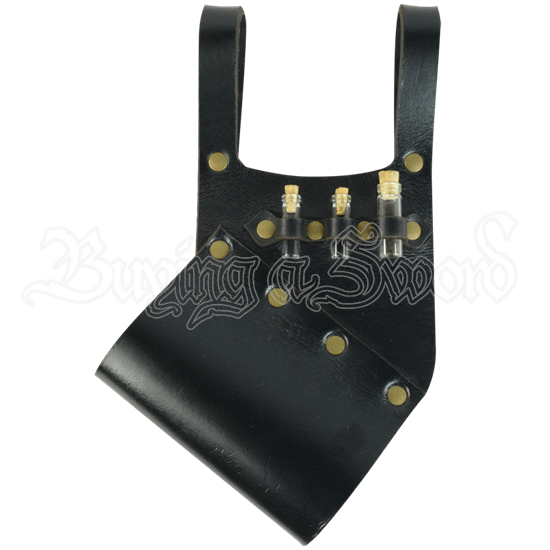 Crafted from 8/9 ounce leather and brass hardware in our shop, this durable sword accessory is designed to hold LARP, training, or steel swords. The leather frog hangs from two belt loops for a secure fit. Please specify if you would like to have the frog in a left hand or a right hand draw. The right handed frog is worn on your left side, for a right handed draw. The left handed frog is worn on the right side, for a left handed draw. The Alchemist Sword Frog is available in either black or medium brown and makes a stunning addition to your LARP kit.